New Delhi [India], Mar 25 : India and World Bank on Saturday signed a financing agreement for IDA credit of USD 100 (equivalent) for the "Uttarakhand Health Systems Development Project". The Financing Agreement was signed under the presence of Raj Kumar, Joint Secretary, Department of Economic Affairs on behalf of Government of India and Hisham Abdo, Acting Country Director, World Bank (India) on behalf of the World Bank. A Project Agreement was also signed by Dr. Neeraj Kharwal, Additional Secretary (Health), Government of Uttarakhand and Hisham Abdo, Acting Country Director, World Bank. Washington: Indian economy, which accounts for 80 percent of South Asia's output, is set to grow by 6.4 percent in 2015-16 as against 5.6 percent in 2014-15, the World Bank has said. With economic activity buoyed by expectations from the new elected government of Prime Minister Narendra Modi, "India is benefiting from a "Modi dividend"," the Bank said in its twice-a-year South Asia Economic Focus report. Over the next year or so economic growth should be supported by the recovering US economy that would provide a market for Indian merchandise and service exports, it said. New Delhi: World Bank Group President Jim Yong Kim will on Tuesday meet Finance Minister Arun Jaitley and thereafter Prime Minister Narendra Modi on Wednesday to review key development priorities. Kim, who reached India today, visited the state of Tamil Nadu. "Tamil Nadu continues to be a source of development knowledge for projects across the world," Kim said. Kim would meet the Finance Minister tomorrow and the Prime Minister day after, a source said. The World Bank group feels urbanisation can improve lives as 10 million people move into towns and cities every year in India. Washington: Developing countries are headed for a year of disappointing growth, the World Bank said in its Global Economic Prospects (GEP) report, which has lowered its forecasts for developing countries to 4.8 percent growth rate this year from the January estimate of 5.3 percent. In its latest report, the Bank has lowered its forecasts for developing countries, now eying growth at 4.8 percent this year, down from its January estimate of 5.3 percent. Beijing: The Chinese economy will grow at 7.6 per cent this year, a notch lower than last year's 7.7 per cent, and the trend is likely to continue next year as well, a World Bank Economic update said today. China's growth will moderate over the medium term as the economy continues to rebalance gradually, it said. Growth is expected to slow to 7.6 per cent in 2014, and 7.5 per cent in 2015, from 7.7 per cent in 2013, it said. "The rebalancing will be uneven reflecting tensions between structural trends and near term demand management measures," said Chorching Goh, Lead Economist for China. The annual meeting of the World Economic Forum (WEF) in the Swiss resort of Davos ha concluded with cautious optimism about the world economy among the world leaders. Leaders and representatives from around the world had gathered this week at Davos for the World Economic Forum this week to discuss stability in the global economy. Jim Yong Kim, president of the World Bank, Christine Lagarde, managing director of the International Monetary Fund and Mario Draghi, president of the European Central Bank also accepted that the world economy is on the path of recovery but there are potential risks and challenges. TheFTSE 100 Index and America's Dow Jones Industrial Average both increased as the World Bank higher global economic growth in the coming years. The World Bank has said that the global economy is expected to grow from 2.4 per cent in 2013 to 3.2 per cent this year and 3.4 per cent in 2015. America's Dow Jones Industrial Average recovered from losses and closed higher on Tuesday's session while the FTSE 100 Index rose 53 points to 6819.9. Sydney, Nov. 13 : The World Bank chief has said growth in the global economy is proceeding in a positive way. Jim Yong Kim however added that there was still a lot of work to be done to make sure the growth lasts. According to news. com. au, Kim said it was important for the United States to solve its budget-debt brawl in early 2014. He added that any kind of uncertainty in the US would impact the global economy, particularly those of developing countries. Washington, Oct 10 : In efforts to end extreme poverty worldwide, the World Bank has set an interim target to reduce global poverty to nine percent by 2020, announced World Bank President Jim Yong Kim here. "Setting this target reminds that we are on the cusp of something historic, ridding the world of the scourge of people living in such abysmal conditions," Kim said Wednesday on the eve of the 2013 Annual Meetings of the World Bank Group and the International Monetary Fund. The government on Thursday announced it decision to invest $4.3 billion (Rs 27,000 crore) the World Bank's special private placement bonds (SPPBs) so that the country could remain eligible for the global lender's low-cost funding for various domestic infrastructure projects. The investment will allow India to borrow $4.3 billion from the World Bank, over & above the single borrower limit of $17.5 billion. Environmental degradation is costing Indian economy nearly Rs 3.75 lakh crores annually, which is equivalent to 5.7 per cent of country's gross domestic product (GDP), according to a fresh report by the World Bank. The World Bank report, released on Wednesday, air pollution in India's urban areas is claiming as many as 1.09 lakh lives of adults, and another 7,513 lives of children below five years per year. Washington, April 20 : India received $69 billion remittance in 2012, the highest in the world, followed by China with $60 billion and the Philippines $24 billion, World Bank data showed. Other major recipients of foreign remittances were Mexico with $23 billion and Nigeria and Egypt with $21 billion each, according to the latest edition of the World Bank's Migration and Development Brief released here Friday. New Delhi, March 13 : The World Bank will provide $3-5 billion annual assistance to India over the next four years to help eradicate poverty and improve healthcare mainly in the low-income states, World Bank Group president Jim Yong Kim said Wednesday. Addressing a press conference on the last day of his three-day visit to India, Kim said the World Bank would deepen its engagement with India and help Asia's third largest economy meet its development needs by providing financial and technical assistance. Global financial body, the World Bank has imposed a six month sanction on Infrastructure giant Larsen & Toubro (L&T) alleging that the company was involved in fraud by committing forgery. India may top the list of recipients of remittances this year, the World Bank said in its latest report. According to the report, India will grab the top spot on the list by receiving around $70 billion in remittances by the end of 2012, while China will come at the second spot with remittances of nearly $66 billion. The World Bank has offered summer placement for students of Indian Institute of Management, Calcutta, (IIM-C) for the first time ever in India. 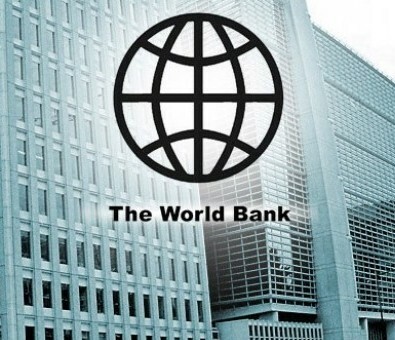 The World Bank selected three IIM-C students for internship, viz. Rishubh Jyrwah, Rohit Murthy and Jayant Kharote, who will spend two months either in the New York or Mumbai branch of the World Bank. Each of the three selected IIM-C students will receive a stipend or payment of US$ 10,000 (roughly Rs 5.4 lakh). Flexible labour laws will help India's both organised and unorganised sectors and spur economic growth, World Bank chief economist Kaushik Basu has said. Dr. Basu said that India's labour market is over-regulated and added that the strict labour laws were hurting the country's economic growth. The Board of Directors of the World Bank Group have approved package of credit and grants to Myanmar through a new Interim Strategy. The new support plans are aimed at backing the government's reforms for improving the lives of its people. The financial institution will offer an $80 million development grant to the country ahead of a multilateral effort by the international financing community to clear the county's backlog on payments to creditors.